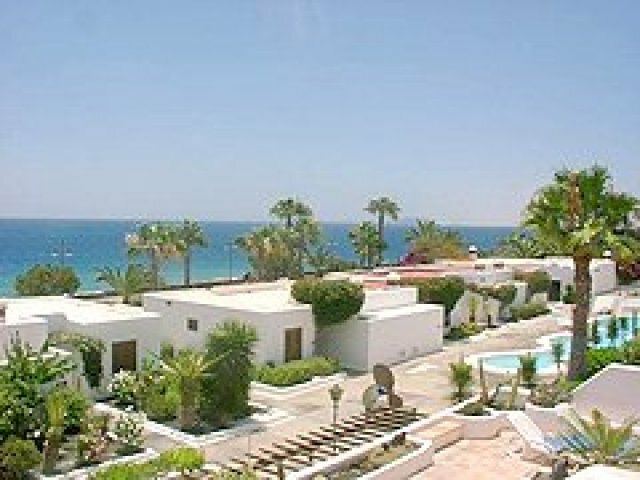 Puerto Chico 9 is on the first floor, giving this two bedroom apartment amazing views from its newly tiled balcony. 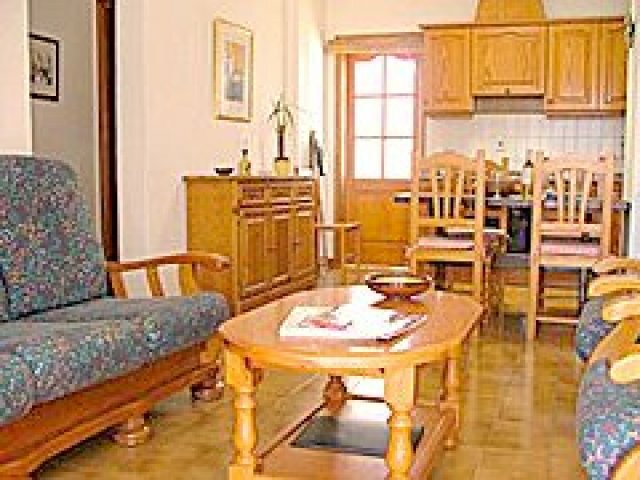 The bathroom has been recently refurbished as well, whilst the open-plan kitchen and living area opens out onto the balcony via patio doors. 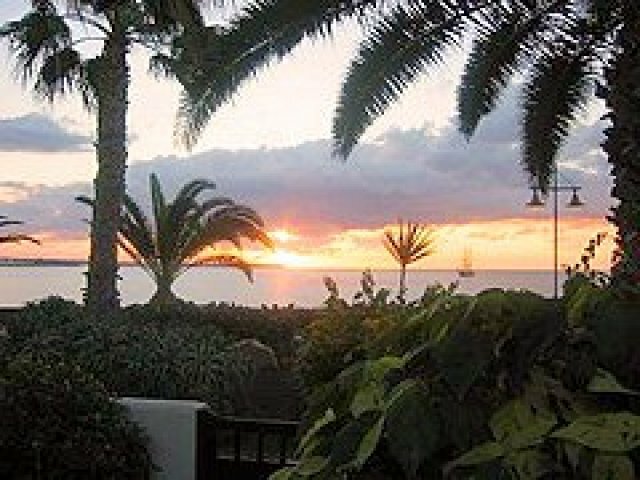 From the patio there are wonderful views to the sea and Fuerteventura and behind the resort to the mountains of Femes. 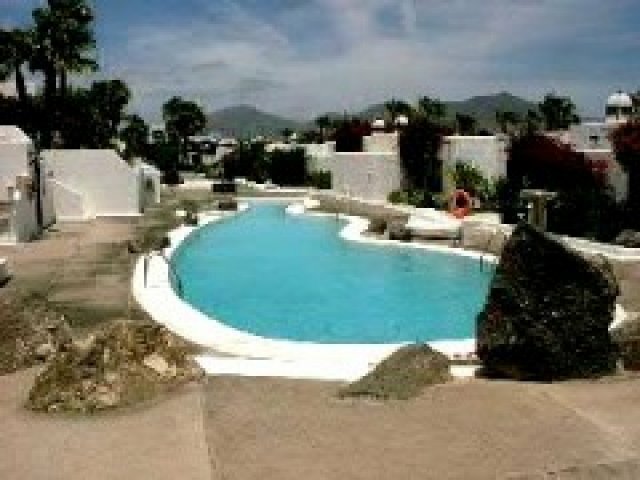 The complex of Puerto Chico is a pretty plant filled oasis, right in the heart of Playa Blanca, with lovely communal gardens and a refurbished heated swimming pool. The main pedestrian shopping street in the town centre is just a five minute walk away, as are many restaurants and bars. 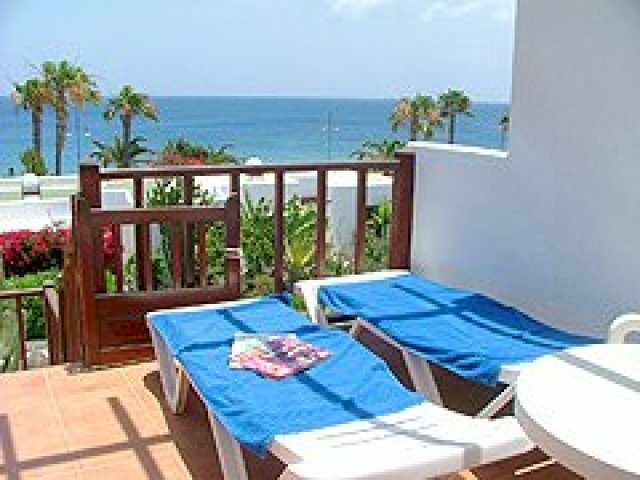 There are only 34 bungalows, which are all privately owned and each has its own patio or terrace to enjoy the best of the climate in Lanzarote. There is also a wide range of English satellite channels available. 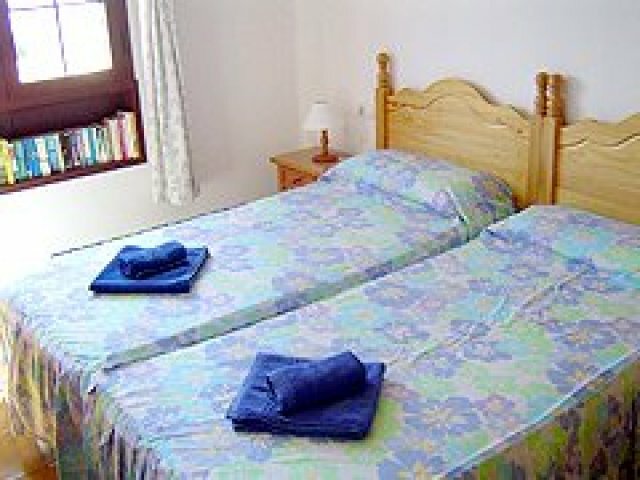 For stays of longer than seven days there will be an apartment clean as well as linen and towel change.